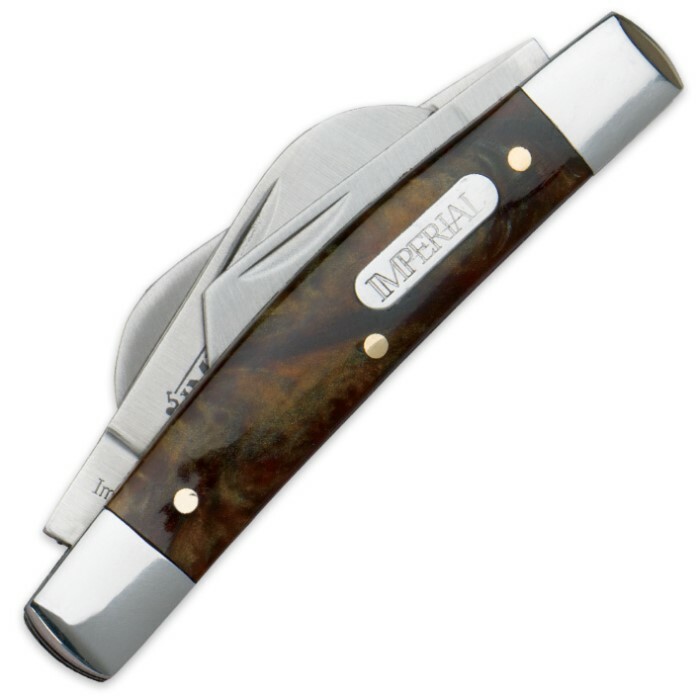 Schrade Imperial Amber Swirl Congress Pocket Knife | BUDK.com - Knives & Swords At The Lowest Prices! You can't go wrong with a classic Imperial Congress Pocket Knife from Schrade. 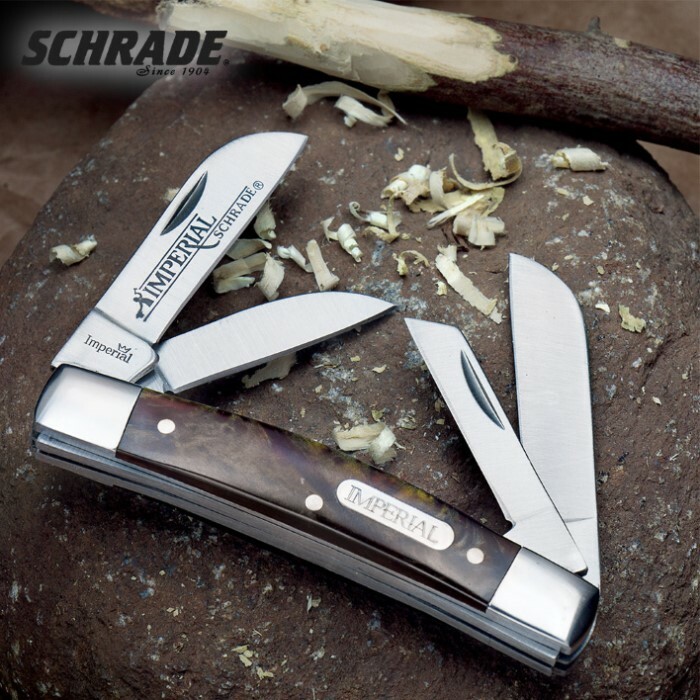 This versatile folder features razor sharp stainless steel blades and handsome amber swirl handles accented with Schrade's iconic brass "Imperial" shield. The only problem I have with this knife is the two biggest blades stick out away from the handle when closed and the blades are VERY tight . 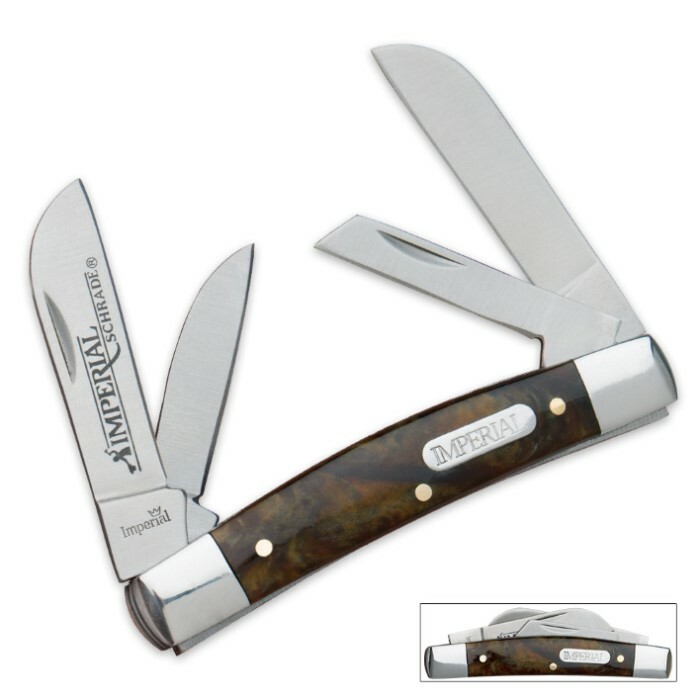 . . use caution if trying to open more than one blade at a time like in the photo. Other than that, nice knife for the price. The factory should have used a waaay weaker spring so as not to have to grunt to open the blades.